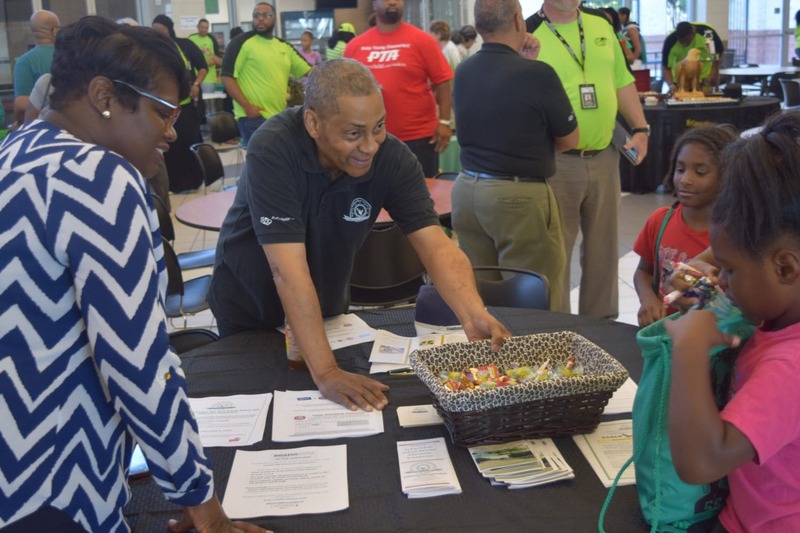 DESOTO—DeSoto ISD hosted families and communities to DeSoto High School on Sat., Aug. 5 at DeSoto High School to distribute more than 2,000 free backpacks and school supplies to families in DeSoto ISD. Superintendent of Schools Dr. David Harris joined School Board President Carl Sherman Jr. and other members of the DeSoto Independent School District Board of Trustees including Tiffany Clark, Karen Daniel, Donald Gant, Kathy Goad, Aubrey C. Hooper, Sandre Moncriffe, and area officials including Dallas County Commissioner John Wiley Price and other city and governmental representatives from City of DeSoto, Glenn Heights and Ovilla to support families as they prepare for the start of school which kicks off Mon., Aug. 21. This year’s event helped 2,000 pre-registered DeSoto ISD students prepare for the upcoming 2017-2018 school year. Backpacks and school supplies were made possible by DeSoto alum and 2015 Super Bowl MVP Von Miller. “The opportunity to serve students and families through the DeSoto ISD Back-to-School Fair is one we take great pride in. The collaboration and planning necessary to provide these resources to families to ensure that students start the school year prepared with some foundational items that can support their learning and classroom experiences is an effort that is focused on creating the best possible outcomes for students in DeSoto ISD. We are excited about the opportunities we as a district are working to provide for our students and we are excited about the start of the school year,” said Associate Superintendent Dr. Gabrielle Lemonier. Area students and families were able to take advantage of free immunizations from Dallas County Health and Human Services. In addition, health screenings by local agencies, community services, and social service resources were available to families in attendance. 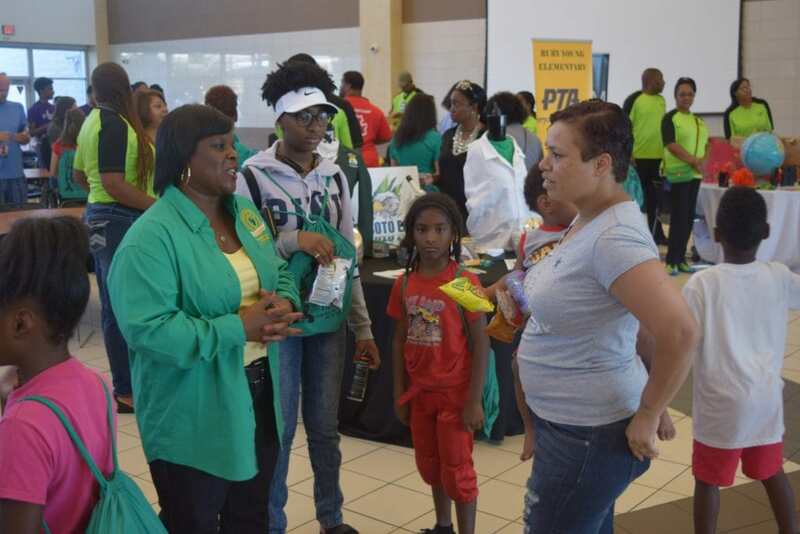 The DeSoto ISD Back-to-School Fair also included live entertainment, games, prizes and information regarding district programs. These programs include STEM-based pre-k programs, partnerships with area childcare providers, before and after-care programs. The after school ACE program which provides tutoring and after school educational enrichment for K-8 students is always popular. Families will have the opportunity to register for the upcoming school year starting Aug. 8 through Aug.18 following completion of the online enrollment process available at www.desotoisd.org/onlinenerollment. “We are ecstatic about what’s happening here in the City of DeSoto and DeSoto ISD. The DeSoto ISD Back-to-School Fair is a testament to the bold vision and leadership we have here in our schools and community. More importantly, a testament to what our students deserve,” said Board Vice President, Karen Daniel. DeSoto ISD is public independent school district serving more than 9,800 students and 1,200 employees. The district is comprised of 12 campuses serving students from early childhood through graduation. DeSoto ISD’s mission is to prepare students academically and socially to be problem solvers and productive citizens. The district’s 2020 Strategic Plan focuses on individualized learning, quality teachers, equal access to provide a well-rounded educational experience.